Paul Hill was a well-respected NASA scientist when, in the early 1950s, he had a UFO sighting. Soon after, he built the first flying platform and was able to duplicate the UFO's tilt-to-control maneuvers. Official policy, however, prevented him from proclaiming his findings. "I was destined," says Hill, "to be as unidentified as the flying objects." For the next twenty-five years, Hill acted as an unofficial clearinghouse at NASA, collecting and analyzing sightings' reports for physical properties, propulsion possibilities, dynamics, etc. To refute claims that UFOs defy the laws of physics, he had to make "technological sense... of the unconventional object." After his retirement from NASA, Hill finally completed his remarkable analysis. 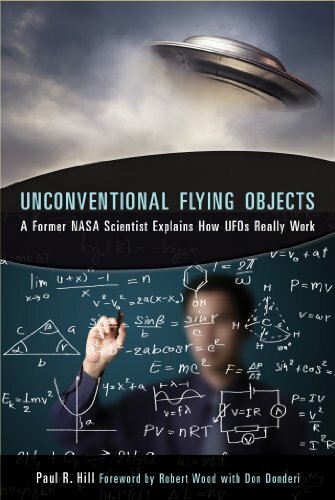 This book, published posthumously, presents his findings that UFOs "obey, not defy, the laws of physics." Vindicating his own sighting and thousands of others, he proves that UFO technology is not only explainable, but attainable.